RDT's Ring Around the Rose presents SALTY CRICKET COMPOSERS COLLECTIVE, December 10. SALT LAKE CITY, UT – Repertory Dance Theatre's "Ring Around the Rose" program presents Salty Cricket Composers Collective on December 10, 2016 at 11:00 am. Dedicated to bringing modern classical music to new audiences, The Salty Cricket Composers Collective will present an interactive, holiday music extravaganza! The show will include some traditional sing-a-long pieces as well as performances by the Collective's student performers. 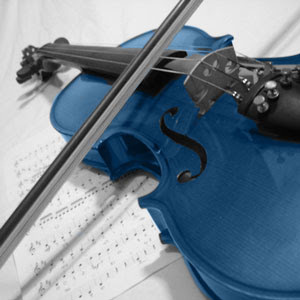 Salty Cricket's educational outreach is based on the internationally renowned El Sistema model and reaches a diverse and engaging segment of the Salt Lake City community. El Sistema is built on the idea of educating the young musician from the ensemble down, rather than private instruction up. The show will also include a holiday-themed "Orff Story" -- a story told where characters are assigned musical instruments and audience members play those instruments at the appropriate time in the story. The story will have a refrain that everyone in the audience can join in on. There may even be a surprise appearance from Santa himself! The Salty Cricket Composers Collective (SC3) is a nonprofit organization dedicated to enriching Utah’s cultural life by providing performances of Utah composers’ work, facilitating the exchange of ideas and resources among Utah composers, and educating Utah’s K-12 youth about classical and new music through its GraceNotes programs. Come celebrate and sing-a-long with the whole family! Ring Around The Rose is a wiggle-friendly series of performances for children and families that explores the magical world of the arts including dance, theatre, music and storytelling. All shows begin at 11:00am at the Rose Wagner Performing Arts Center, 138 W Broadway, SLC. Shows are $5 (kids 2 and under are free). 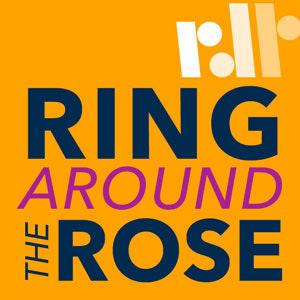 Ring Around The Rose is supported in part by: Cyprus Credit Union, The Utah Arts Council, National Endowment for the Arts, Salt Lake City Arts Council, the Marriner S. Eccles Foundation and the Salt Lake County Zoo Arts & Parks Program.